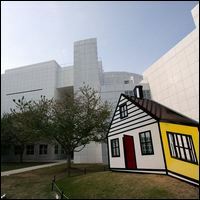 Visit this gallery where families can explore their creativity together in five fun activity areas: Building Buildings, Making a Mark, Telling Stories, Sculpting Spaces and Transforming Treasure. 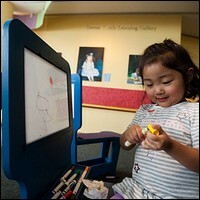 These discovery activity areas are inspired by some of the most popular objects in the Museum's collection. 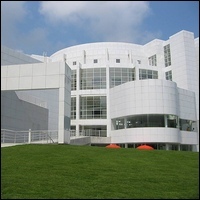 Located on the first floor of the Stent Family Wing, the Greene Family Learning Gallery is designed to serve children from preschool through 10 years of age, their families and caregivers through exhibitions that change periodically in connection with the Museum's exhibitions and programs. Weekend Family Tours of the museum leave Saturday and Sunday at 2 p.m. from the Greene Family Learning Gallery.